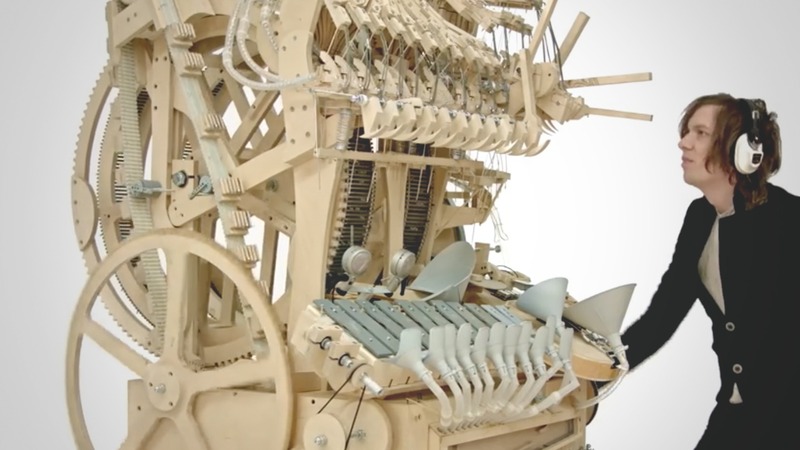 Comprising of 3,000 wood pieces, 2,000 marbles, and the patience of a 16th Century Zen Master, the Wintergartan Marble Machine by Swedish musician Martin Molin is certainly unlike any other instrument you’ve seen before. Although the machine looks like a highly-complicated loom that could knit you the most satisfying sweater ever, it is instead a calculated marble run that powers enough instruments to create a one-man band: a kick drum, a vibraphone, and a bass guitar. Molin, who spent over 14 months building the storybook-worthy contraption, thankfully documented the build process in all of its pure and honest glory over a series of YouTube videos. In fact, he was so dedicated to documenting the process that he established an entire YouTube channel for the resulting videos. Molin will be taking the Wintergartan marble machine – along with his band of the same name – on tour this summer, so keep your eyes (and ears) peeled.